The Pnume were an ancient race of the planet Tschai, living underground in a vast network of caverns with their human slave-species, the Pnumekin. The Pnume were the historians of Tschai, collecting its past with ruthless and scholarly dedication. Surface dwellers never saw the Pnume—if they were lucky. Adam Reith was not so fortunate. The Pnume had heard rumors of a strange man claiming to have come from the planet Earth, and they wanted him for Foreverness, the museum of Tschai life. Adam Reith was about to become an alien exhibit. 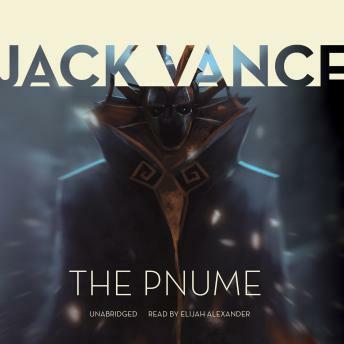 This, the fourth and final novel of Jack Vance’s classic series of the Planet of Adventure, is complete in itself but presents a surprising and exciting climax to Vance’s greatest creation.